Storm Geomatics provide high quality survey data to engineers for the creation of accurate flood risk models. During the winter of 2013 severe storms and subsequent flooding left much of Somerset underwater for weeks. Public anger was directed at the Environment Agency for failing to dredge sections of the River Parrett. Dredging operations were subsequently carried out, but Somerset Drainage Board (SDB) required more information to direct dredging resources where they would be most effective. It was already known that movement of the sediment in the river beds in this area is particularly affected by the tides. 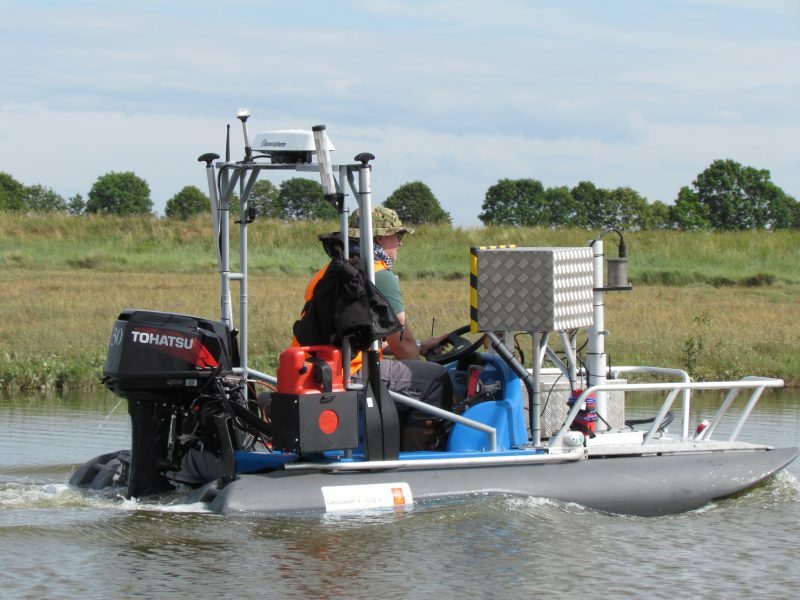 Storm Geomatics advised SDB that accurate measurements of the river bed geometry and the silt level, taken over time, would ascertain the effects of dredging. The survey, over approximately 16km, covered the River Parrett from Burrowbridge (upstream) to Dunball (downstream), near Bridgewater. It was important that the survey data captured as much of the silted area as possible to maximise the analysis of sediment movement. Storm Geomatics used an interferometric sonar and small catamaran for this purpose. 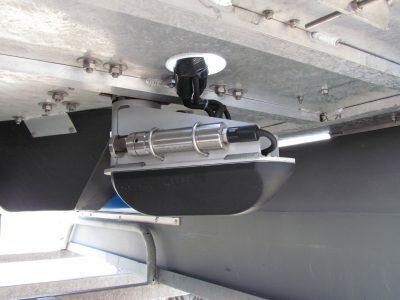 Storm Geoswath is a unique survey vessel, able to capture a swath of bed level information with a width up to 12 times water depth. It is light enough to hand launch down a vegetated bank and as all the equipment is fixed in place, it is easy to calibrate. SDB liaised with local landowners to provide access and storage for the boat. The survey was planned on a spring tide to ensure that the swath reached beyond the Mean High Water Level within the channel, which varied from a width of 190m at the downstream end to 10m at Burrowbridge. The survey took three days to complete with just two passes at the narrow upstream end. With a limited tidal window, the actual operating time of the vessel was approximately nine hours. Following data processing through specialised software, isopach maps were produced and overlaid on satellite imagery. Comparisons were made with images of a pre‐dredge survey, highlighting to Somerset Drainage Board effective and noneffective dredging areas. Future dredging operations were planned around these results.